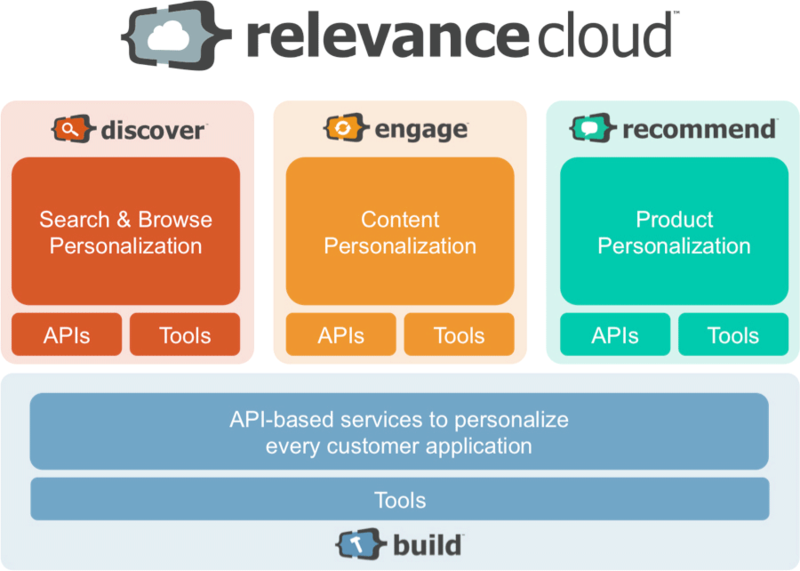 Today, I’m super excited to announce the launch of the Relevance Cloud™– what we at RichRelevance believe to be the most comprehensive personalization solution for retail today. The Relevance Cloud is a re-imagining of all RichRelevance products with new features and more simple ways to access, use and implement each of RichRelevance’s products. Our Discover, Engage, Recommend and Build products empower retailers to deliver and innovate brand-centric customer experiences that span the customer lifecycle across all channels. Each of these products is powered by the Personalization Graph—a unified customer view which aggregates key data on customer behavior, content, context and products. The Personalization Graph is the next generation customer view. Powered by Big Data technologies, it’s flexible, streaming and scalable. Unlike the rigid CRM-centric view of the customer, the Personalization Graph sees each consumer as a fluid, ever-changing and increasingly complex stream of events and touchpoints, reflecting the reality of today’s consumers. Especially exciting to me is the debut of our Build API-based services (I am an engineer after all! ☺). The opening up of our SOA and platform are key to unlocking the next revolution in personalization. Personalization is not simply an application (e.g., the market-leading Recommend product recommendations) but a capability which must be deeply integrated into the fabric of every customer-facing moment, incorporating the essence of each retailer’s unique customer strategy. Data science as a skill set continues to mature within retailers, and with Build, we provide an open, flexible architecture for our retailers’ data science teams to create entirely new customer experiences. Case in point: one of our long-time customers, Wine.com employed a “bring your own algorithm” approach to test and deploy a “similar products” recommendation strategy, incorporating their unique knowledge of their specific assortment. It ended up driving $5 per click—becoming one of their best strategies in terms of revenue per click and increasing overall orders and revenue, not to mention dazzling their customers by putting forward their industry specific expertise. RichRelevance’s Relevance Cloud manages all the heavy lifting (fault-tolerant infrastructure, the operationalization of data, etc.) so that our customers can focus on what they do best: designing differentiated experiences that speak to shoppers 1:1, ensuring that personalization delivers a significant market advantage. I hope you are excited as I am about this next generation of personalization!